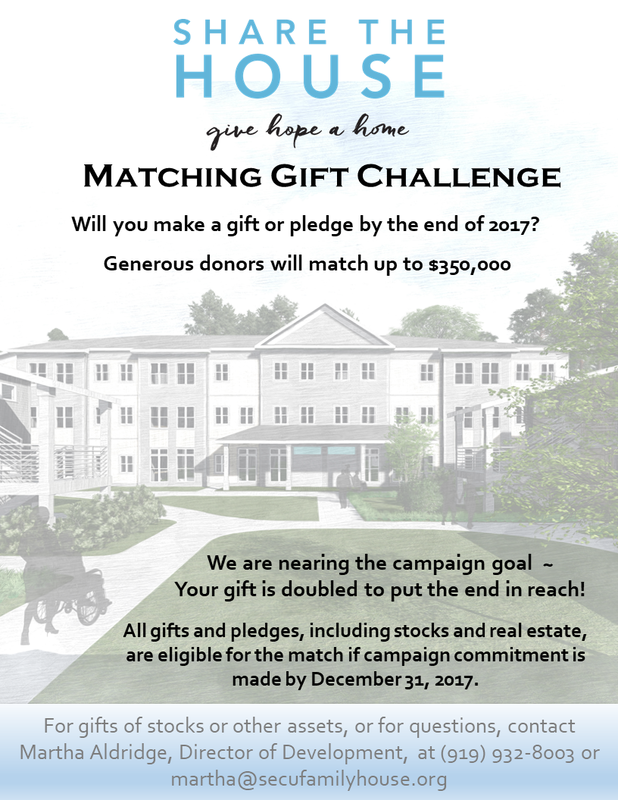 The Share the House capital campaign stands at over $6,250,000, with even more exciting news to share! A generous group of statewide donors has challenged all donors to match their $350,000 gift. This means that all campaign gifts between now and December 31st will be doubled. We have reached 78% of our goal, so please consider if you can make a campaign gift before the end of 2017!